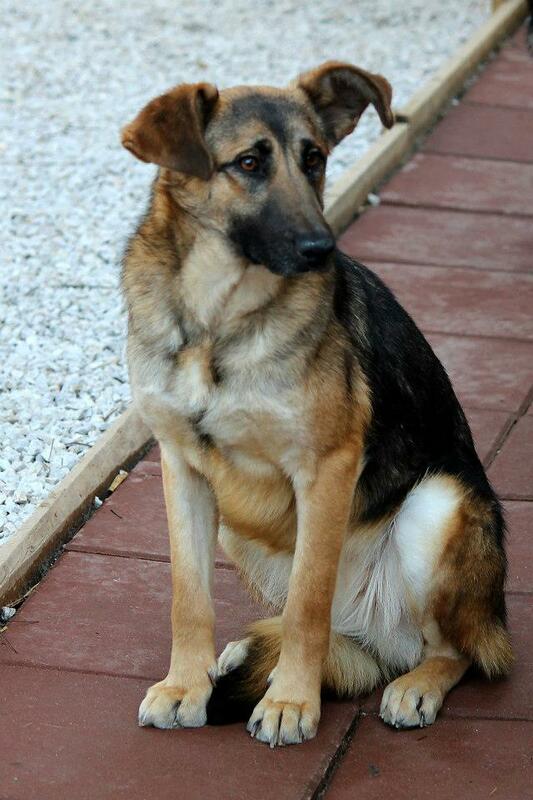 Please help Betty and her sister Lady find a forever home! 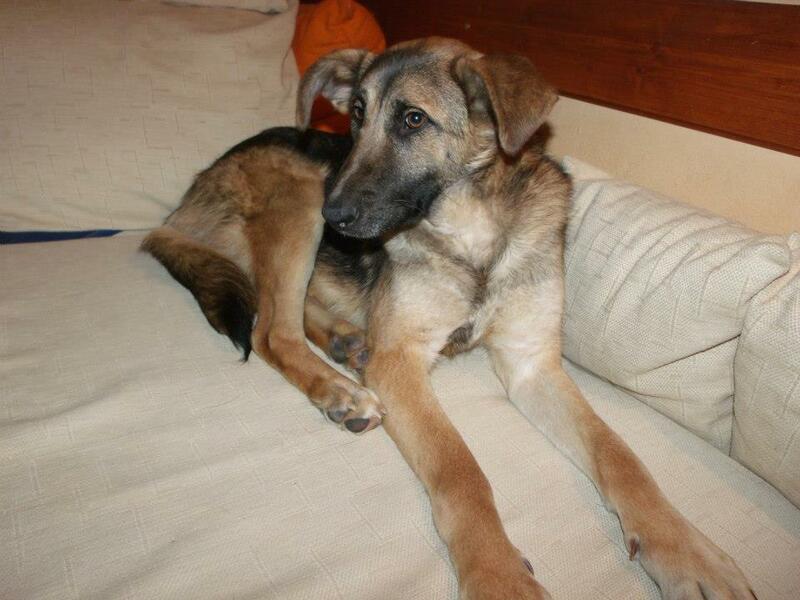 Betty and Lady were found as very young puppies with their sisters in Sarajevo, in the middle of nowhere. 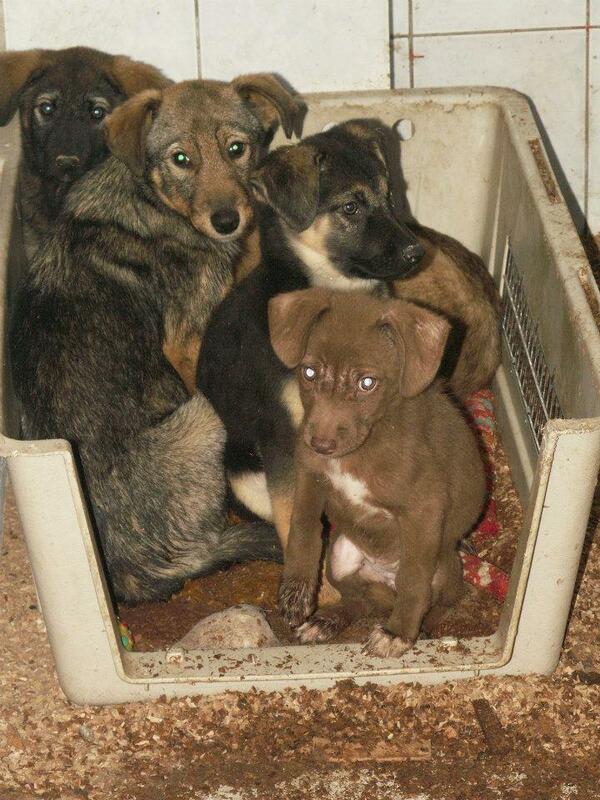 They were all rescued and put into pension. 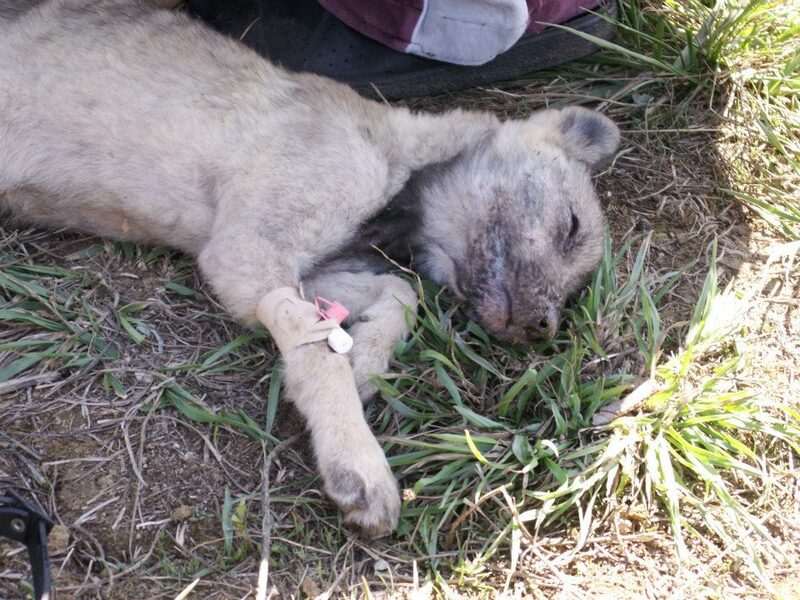 Unfortunately there was an outbreak of canine parvovirus and five dogs out of thirteen died. It was a terrible time. But Betty and Lady survived. Because of their lowered immune system, both then caught a mild case of demodex, but were able to heal and are doing much better now. 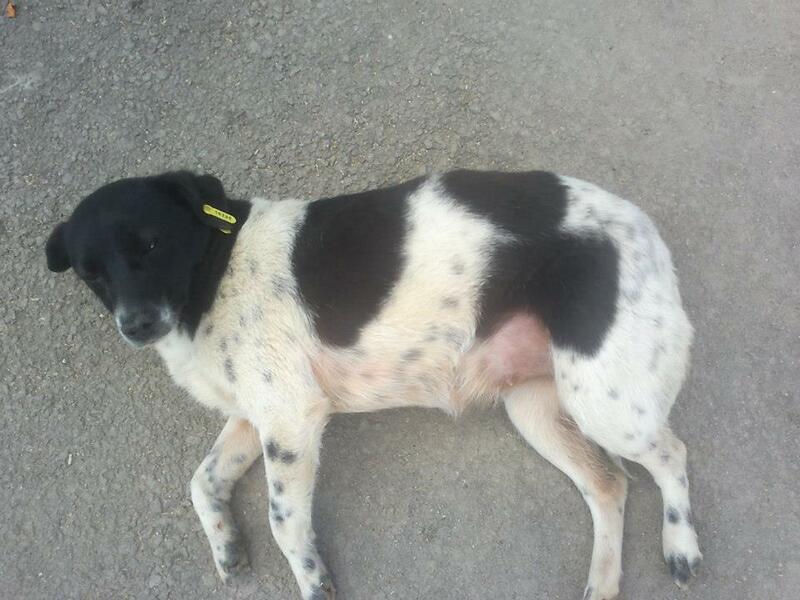 Betty is gentle, lively, an ‘ideal’ dog, she’s been described! Lady is a little more dominant, very playful and cuddly. They know how to walk on a leash, love people and just love to play. They have spent all their lives in pension (kennels), so we really need to find them that perfect home where they can get the comforts and cuddles they deserve. 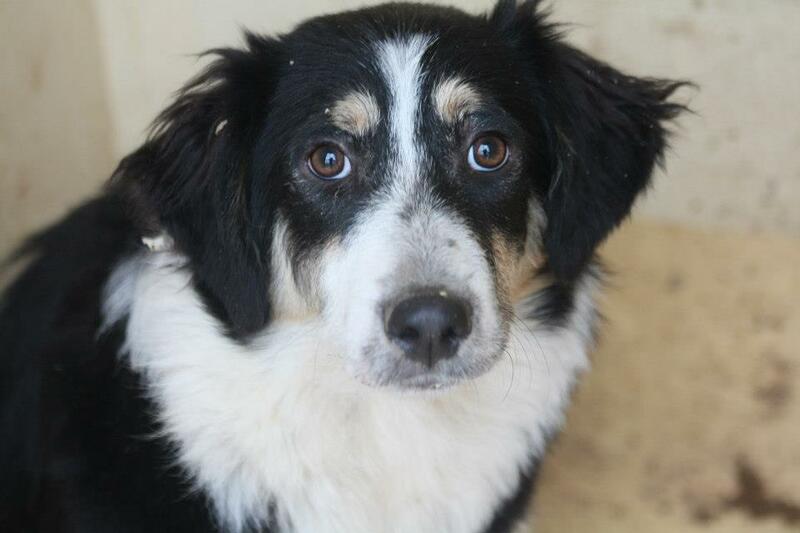 Both are medium sized dogs, about a year old, a collie-mix, black and golden coloured with thick coats. 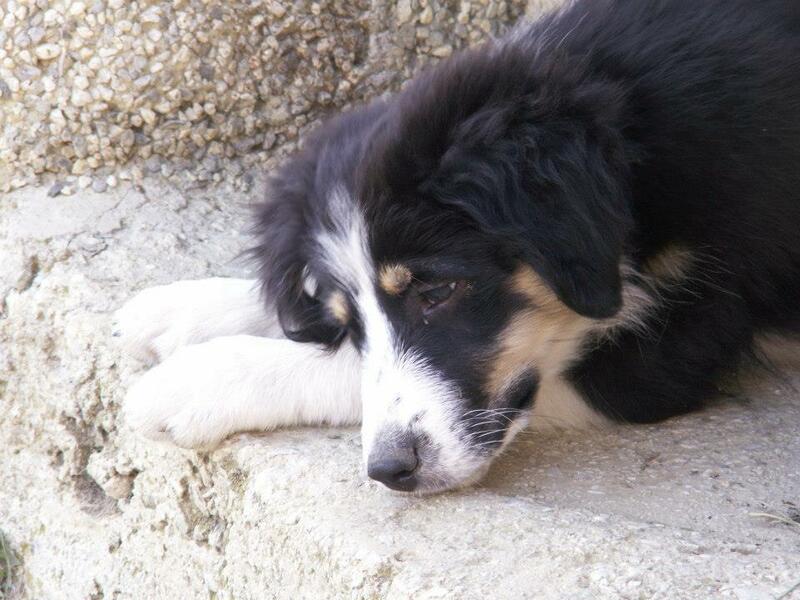 Our group, AWAB, Animal Welfare Activists for Bosnia, have a transport from Bosnia to the UK, set for June. There are still 12 rescued dogs who haven’t had anyone ask about them, or offer them home, and Betty and Lady are amongst these 12. You can find the full list on the AWAB website. Lady and her sister Betty. Can you help them find a home? The NGO Iskra has made a statement at a press-conference yesterday. 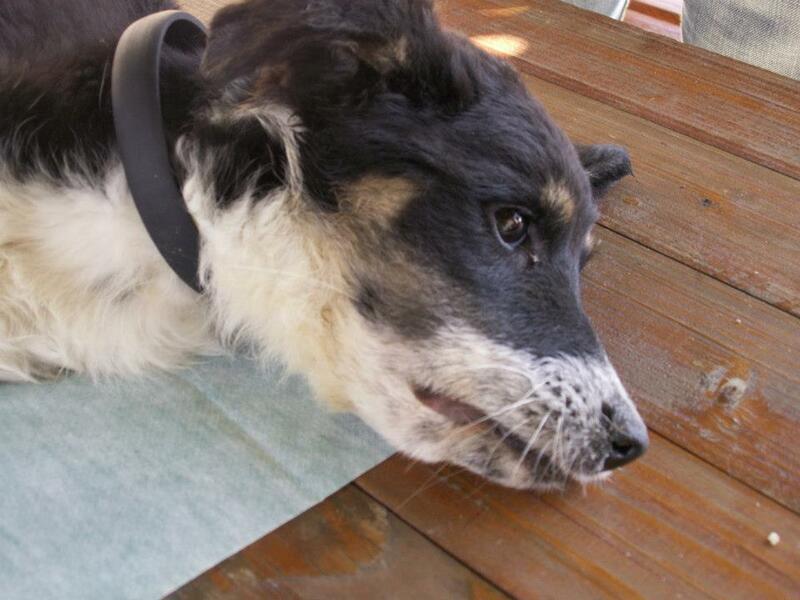 In the last seven days, dog shelter Prača has been in the media focus once again and all because of the incident which took place at the shelter’s premises, betwen Amela Turalić, the Shelter’s director and the members of the NGO Iskra. Due to this event, the NGO Iskra has made a press conference which we are now presenting in full. The press release is signed by Elmedina Devlić, the president of the NGO Iskra. 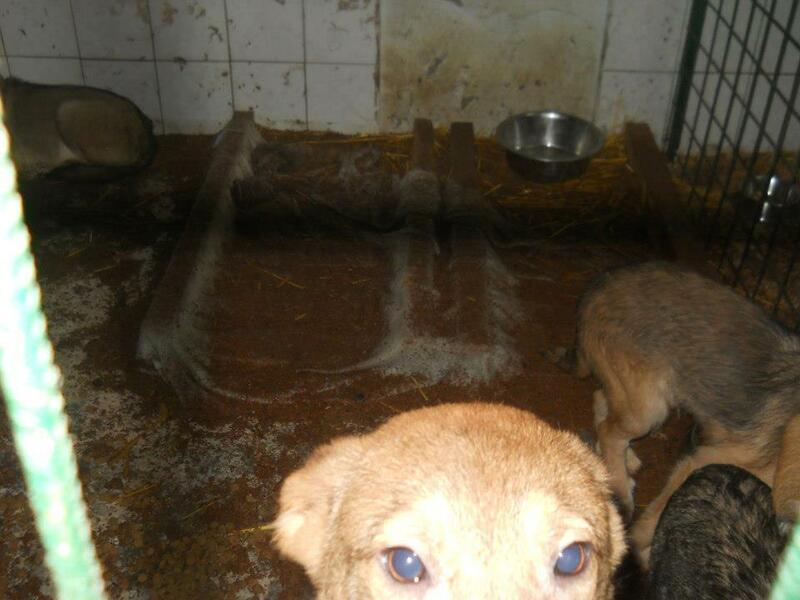 “In this manner we would like to make some clarifications and to shed some light upon the situation which developed and is in the media frenzy during these last six days, along with putting a stop to the spread of vicious lies and rumours spread by the Shelter’s director Amela Turalić against our family, our NGO and the Shelter. Her statements are unsubstantiated and undocumented but nevertheless have been published in a variety of media coverage. We will most certainly be filing a lawsuit against her, but at this moment it’s much more important to shed some light upon her work at the Shelter and to explain the exact reasons which lead us to react in the manner to stop the endless catastrophic situation in this Shelter from continuing. 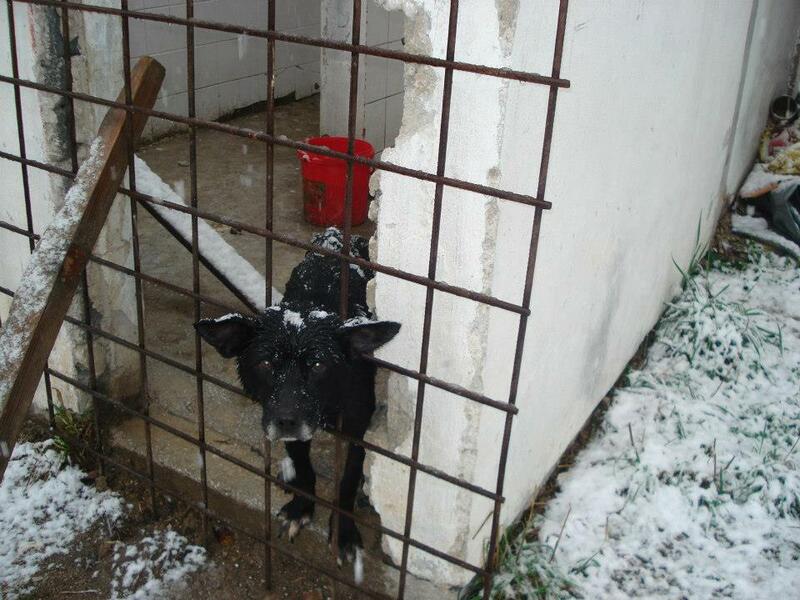 The truth is that the company “Murai Komerc” (one of three owners and the investor of Prača Shelter) is the legal and responsible entity for the shelter from the day the shelter opened until to this day. 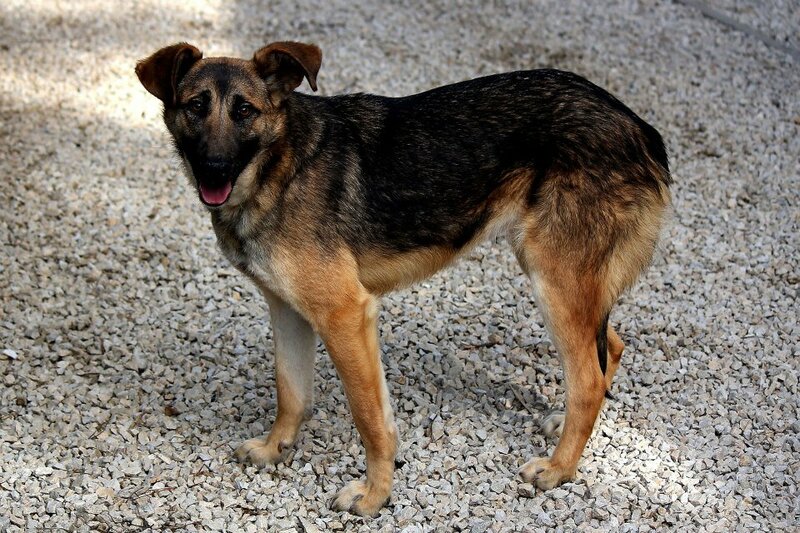 The company hired Miss Amela Turalić to be the Shelter’s director and manager and has given her the responsibility to take care of the Shelter’s premises and the welfare of all dogs that are brought there. as the co-owners of the Shelter (a signed copy of this Agreement has been attached to this press release) and as the NGO which signed the contract with the “Murai Komerc” company (a signed copy of this Contract has also been attached to this press release), have been warned by the Shelter’s workers on numerous occasions of various irregularities conducted at the Shelter by its director Amela Turalić. We have tried to talk to the director and perhaps get some clear insight into all those stories, but Turalić wouldn’t answer our phone calls nor was she every willing to arrange a meeting to see us. 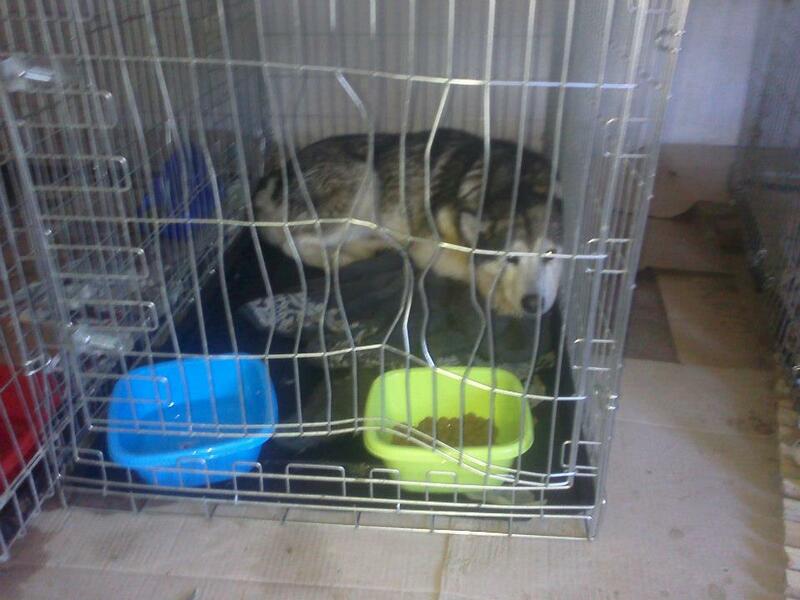 On April 15th 2013, we came in front of the Shelter’s premises, so we could once again try and clarify with the director these irregularities, but after seeing us she quickly phoned the police and started yelling and screaming at us. When the police came, we showed them our documentation which states that we are the co-owners of this Shelter and have a legal right to be here and the director Amela Turalić was escorted by the police out of the Shelter (there is a written report at the Police Department of Prača). 1. In the Shelter and around it, there are 4 mass graves each of them containing around 30-170 corpses of dogs (this information was provided by the Shelter’s workers). 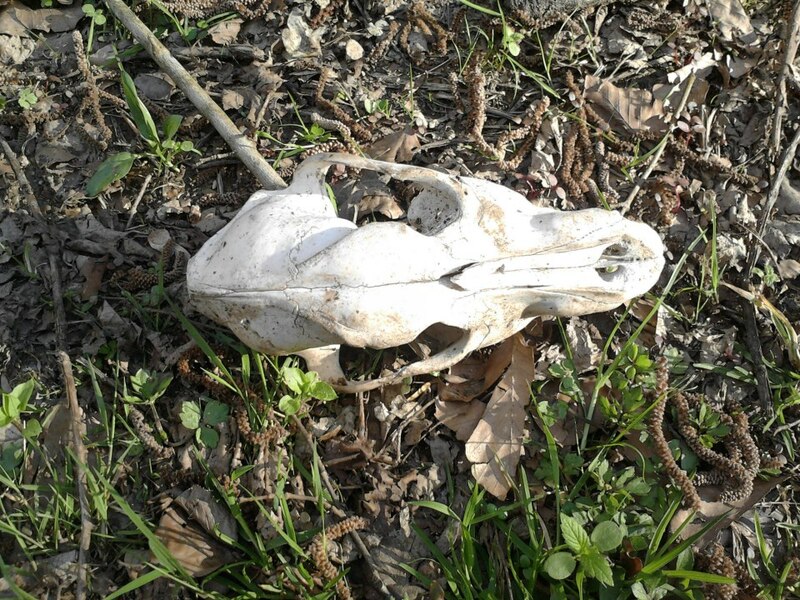 There are also 1-5 smaller mass graves shattered across the forest situated down the road which leads to Gorazde. 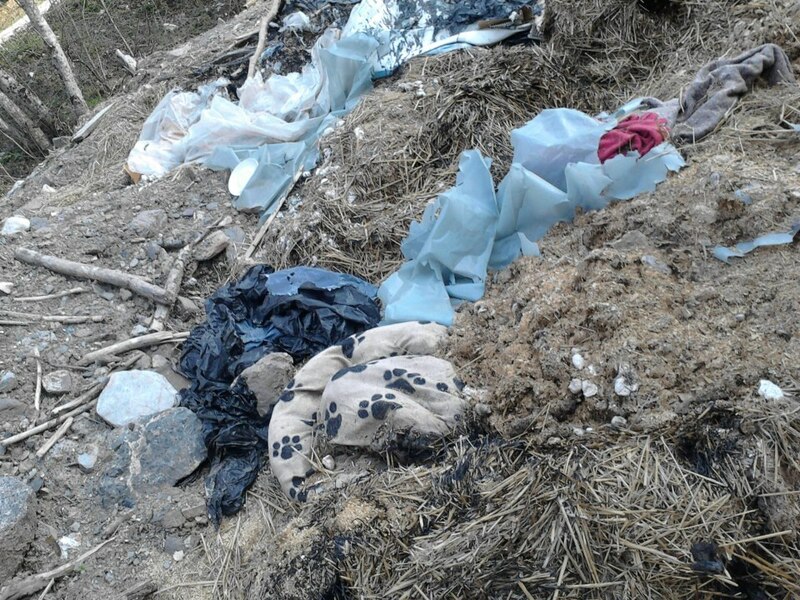 The dog-corpses were also thrown into holes near the river so we can’t say with certainty just how many corpses are left there, nor from exactly what type of diseases the dogs died from and what consequences will this all have on the water and overall environment. 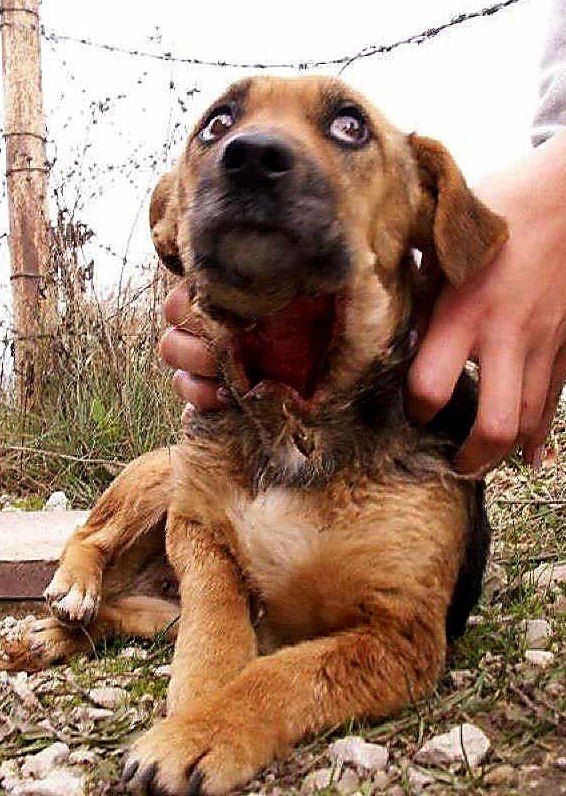 With this act, the director violated the Federal Environmental Law of Bosnia-Herzegovina, Acts 11, 18, 104 and numerous others acts from this and other Laws. 2. 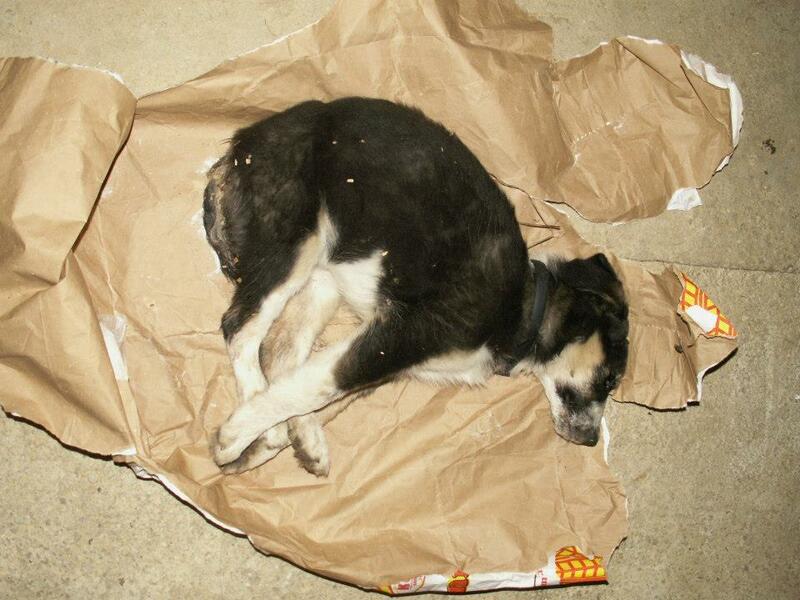 None of the dog-corpses possess any medical/veterinarian documentation, no history of health, the way in which he/she died, an obligatory blood test (because the animals are buried at the Shelter’s premises), and pose as a serious health threat to all other animals and humans in the Shelter as well as the human and animal population surrounding the Shelter, violating directly all State and Federal Veterinary Laws. 3. 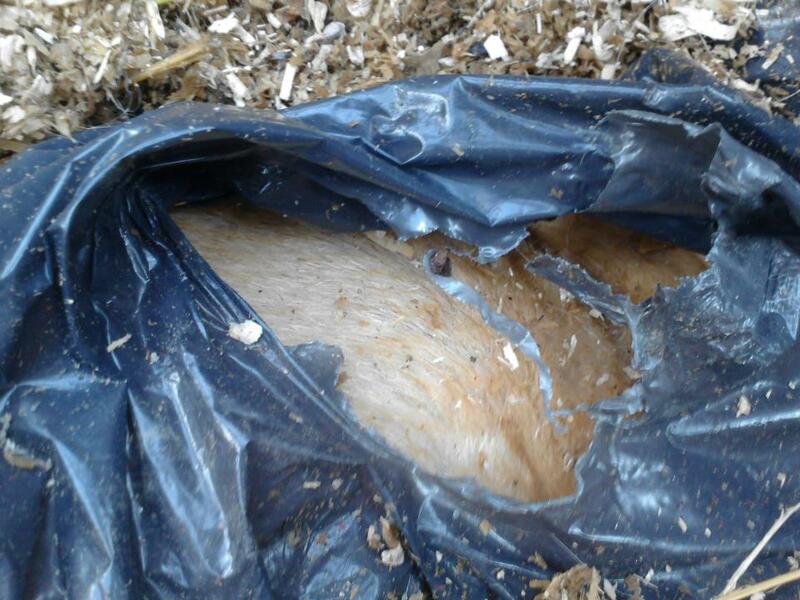 In the Shelter’s cold storage facility, we found 5 tons of rotten food which was meant to be used to feed the dogs. 4. 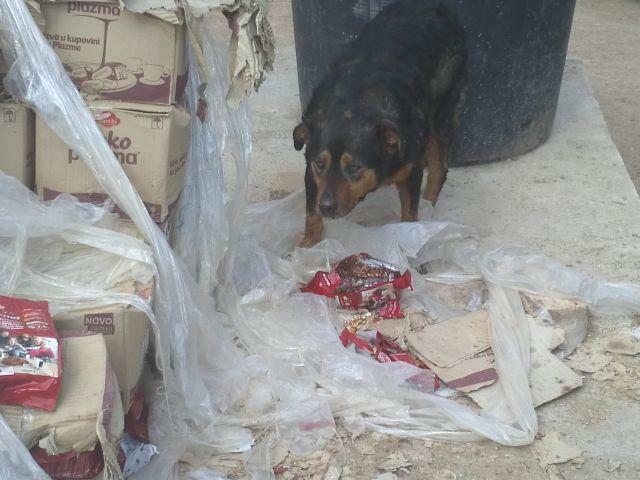 In one of the Shelter’s rooms we also found a broad range of chocolate cookies which were meant to be used as dog food. 5. 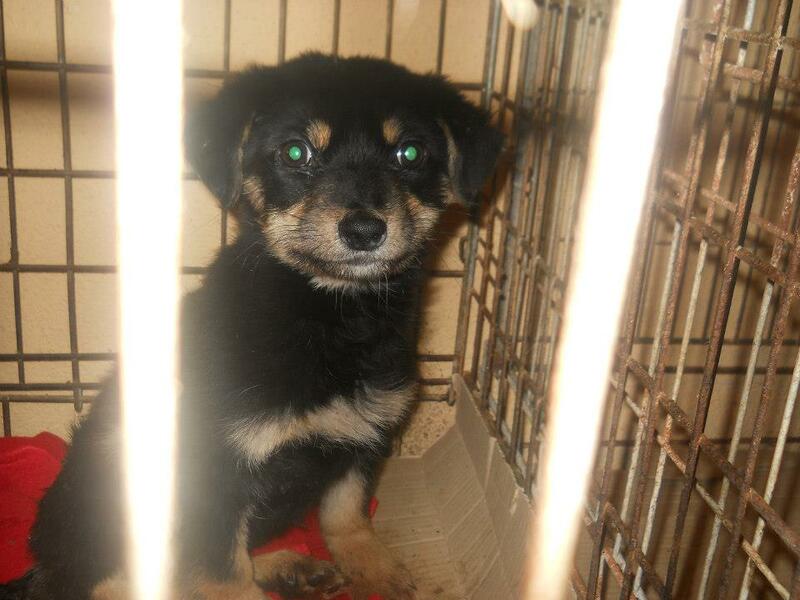 They have spayed/neutered puppies of 2 months of age. 6. 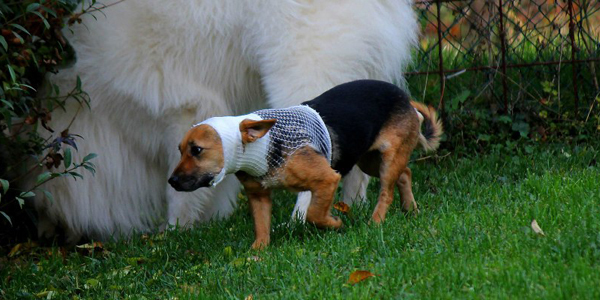 The wounds of other spayed dogs are infected. 7. 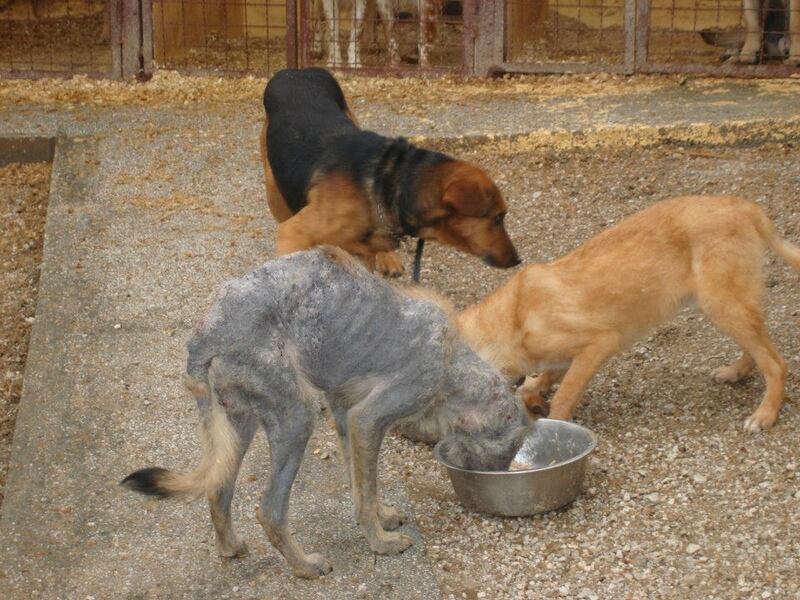 Due to the fact that the Shelter was taking more dogs than they can handle or feed, the dogs would usually kill other dogs and eventually eat the rotten dog corpses. 8. According to various testimonies from the locals living in this area or near it, the vast majority of the dogs were set loose from the Shelter and started attacking their livestock or were shot down by the local hunters in the forests ( the surrounding area of the Shelter is a legal hunting area of wild game). 9. 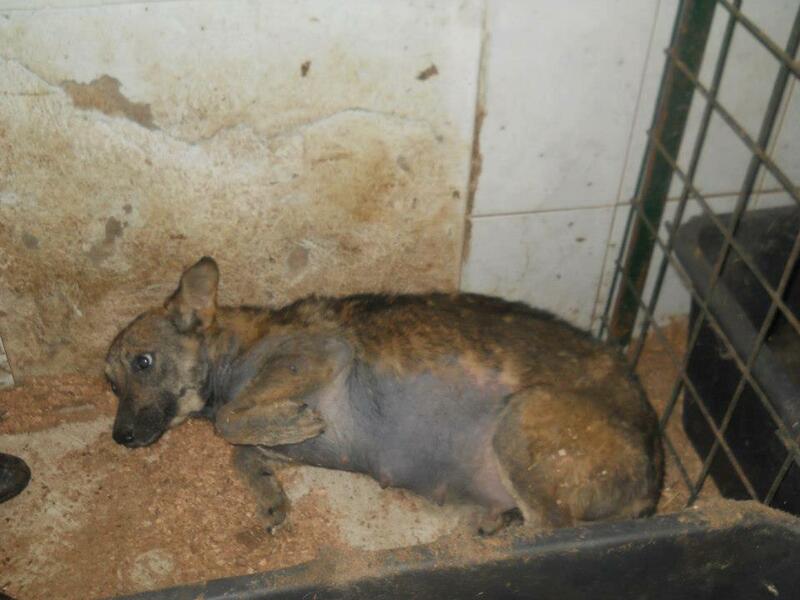 The director Amela Turalić has forbidden the entrance of any “unsuitable” Animal Welfare organizations which were not privately associated with her or close to her. 10. The “Murai Komerc” Company is the investor and the owner of the constructed facility which takes the rent from the Canton Sarajevo, the City of Sarajevo and various other Municipalities . The Company is therefore the responsible but is not the owner of the dogs there nor of the numerous donations which came for the dogs from ordinary foreign or domestic citizens. 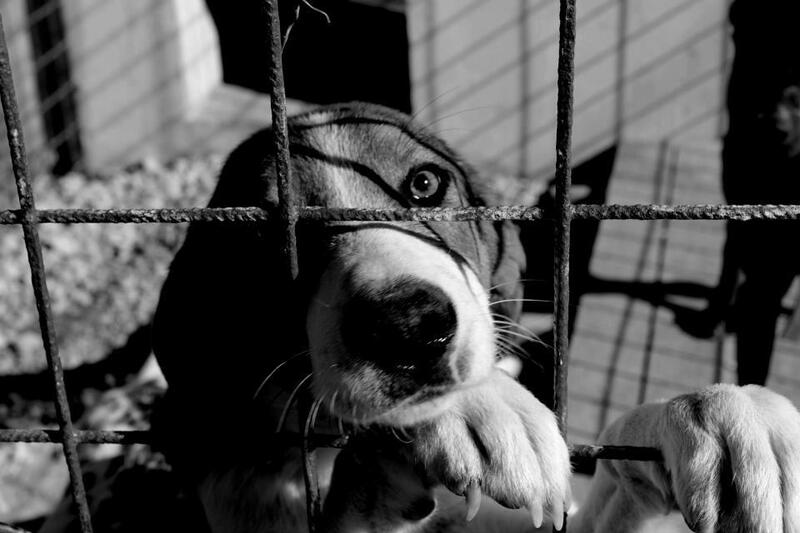 No one, not even the Shelter’s co-owners nor the various NGOs were allowed to see the Shelter’s documentation, work, donations, bank accounts, cash-register or any other documentation. 11. 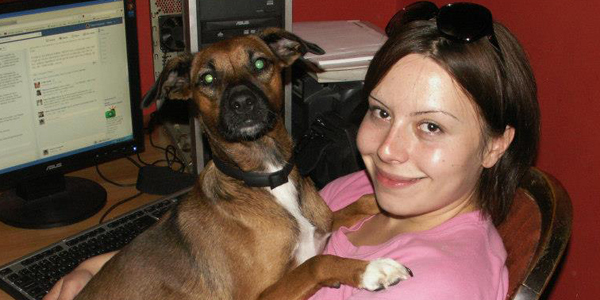 In the night of April 17th 2013, the director Amela Turalić came back to the Shelter and took away all the donated drugs and medication. 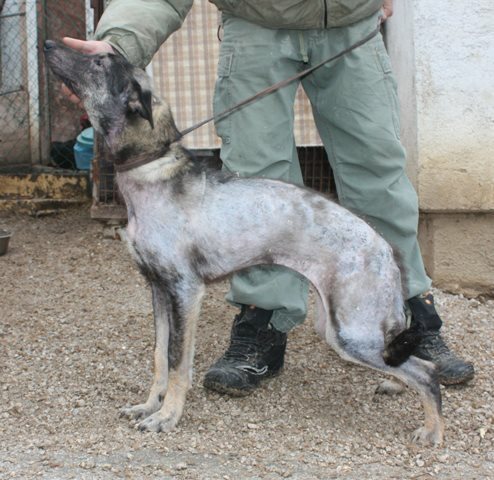 We also must state that from the streets of Sarajevo Canton, an estimated 1.500 dogs were brought into the Shelter Prača. 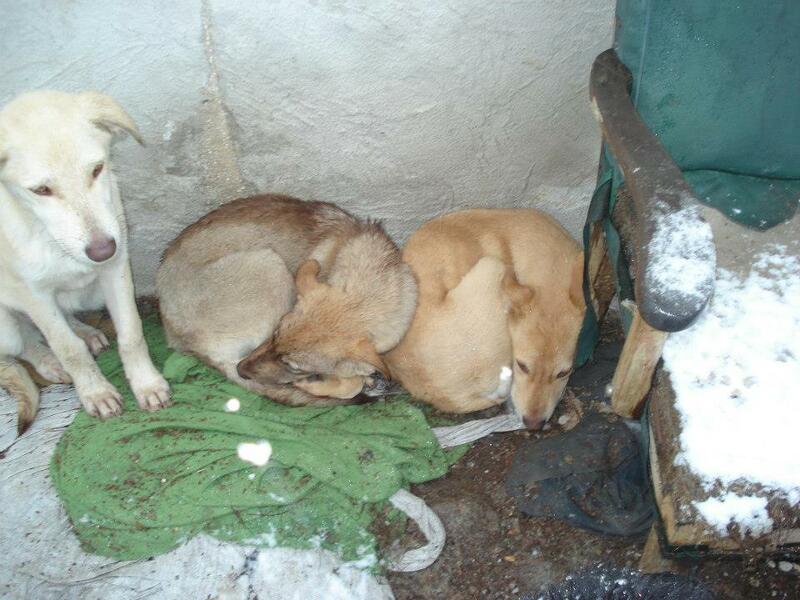 According to the Shelter’s director Amela Turalić, around 500 dogs are at the Shelter and 150 dogs have been adopted (for those adopted dogs we have not found any details or documentation or any other info to whom and where were any of them adopted), this means that around 850 or more dogs are scattered around the forests and in these mass graves. 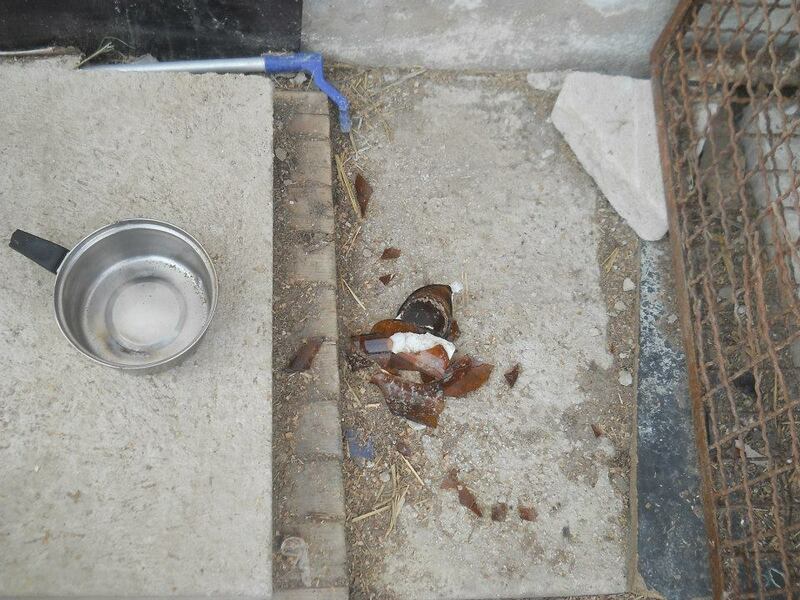 During our visits at the Shelter, the police have been informed of this misconduct as well as the Municipality and the veterinary inspection (Edin Alagic, the Veterinary Inspector) and they have all made reports of the situation at and around the Shelter. 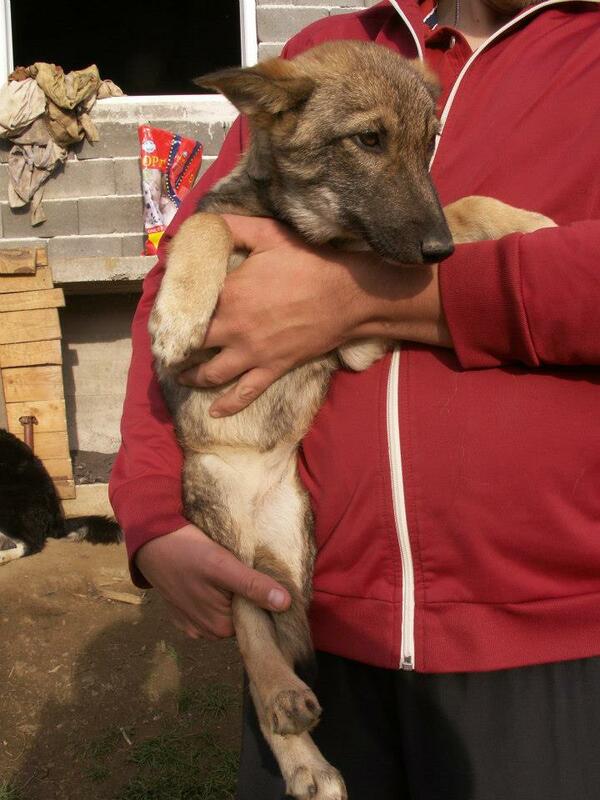 Please note that the situation regarding dog shelters in Bosnia is very complex. One cannot attribute blame to any single person for the shocking conditions and events that occur in these shelters. They are a part of a general problem occurring in Bosnia where many aspects of society are built on systems of corrupt values and the wrongdoings of many. 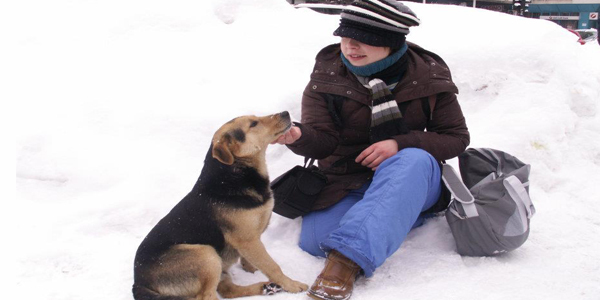 Prača is a private shelter built by Murai Komerc (a construction company managed by Muris Alić) with contracts with Sarajevo municipalities to take in dogs from the street (on a per dog basis) and to provide them with appropriate care. Murai Komerc claimed to invest around 750,000 Euros/1,000,000 USD (1,500,000.00 BAM) in building this shelter in March of 2011. It is our understanding that the shelter was never finished as planned, and that the building was highly unsuitable for the housing of dogs. In the current economic situation in Bosnia-Herzegovina this is a very large investment in a non-profit project which according to Bosnian laws does not provide any tax reduction. 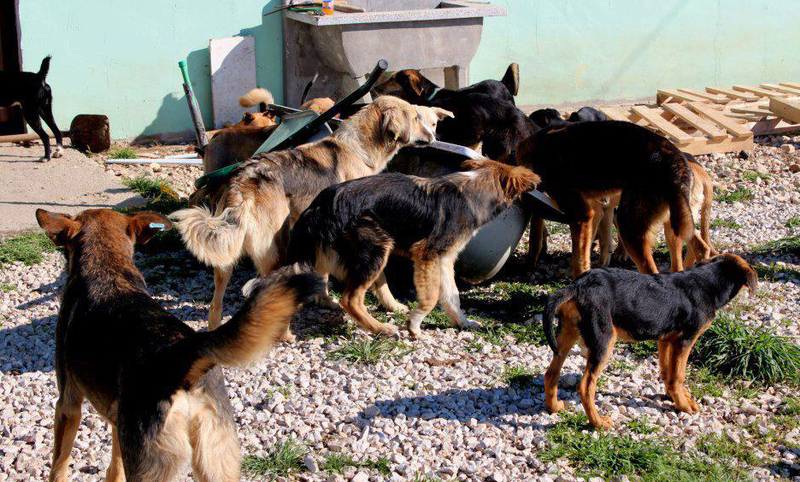 Muris Alic has recently been in the news stating he will have to close the shelter and return the dogs to the street as funds promised from municipal mayors (800,000 KM/400,000 Euros/500,000 USD) for the maintenance of the shelter not been paid. NOTE – this email does not seem to be working, although it is the correct one listed on the government website. We will try to find another and will update as soon as we can. 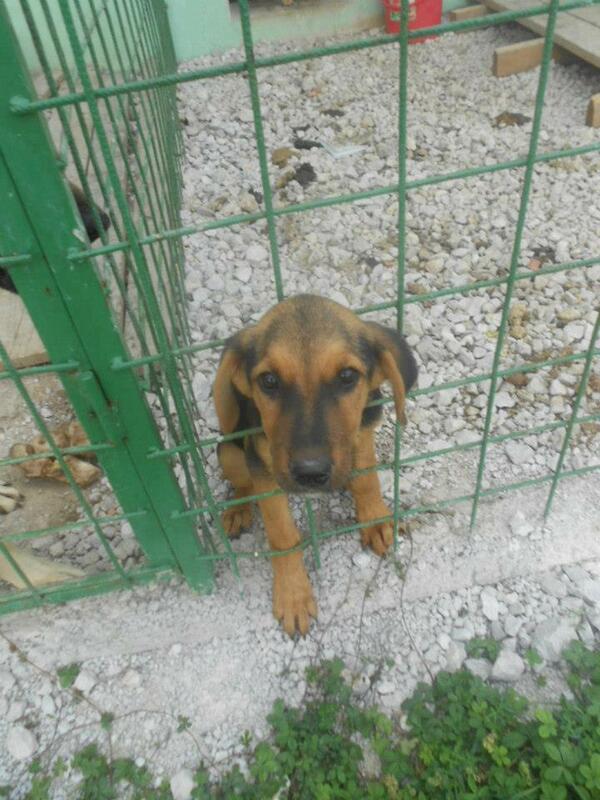 In March I made a post about the dog “shelter” called ‘Prihvatilište KS Prača’, commonly known as ‘Praca’. 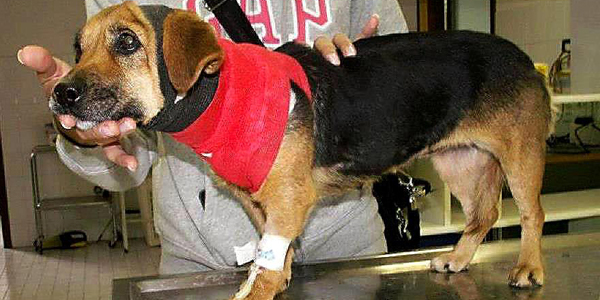 Please read the post: Concentration Camp for Man’s Best Friend. 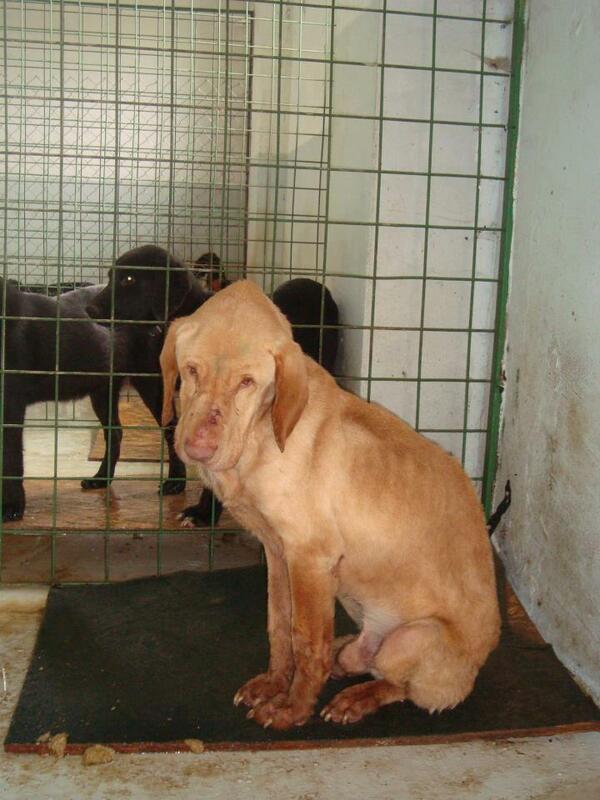 A group of animal welfare activists visited Praca dog shelter today. They visited the shelter after they had been asked to do so by locals and by Mrs. Elmedina Devlic, the wife of one of three co-owners of shelter. Both locals and the co-owners have had claims of their own about the bad management of the shelter, headed by the Director Amela Turalic. 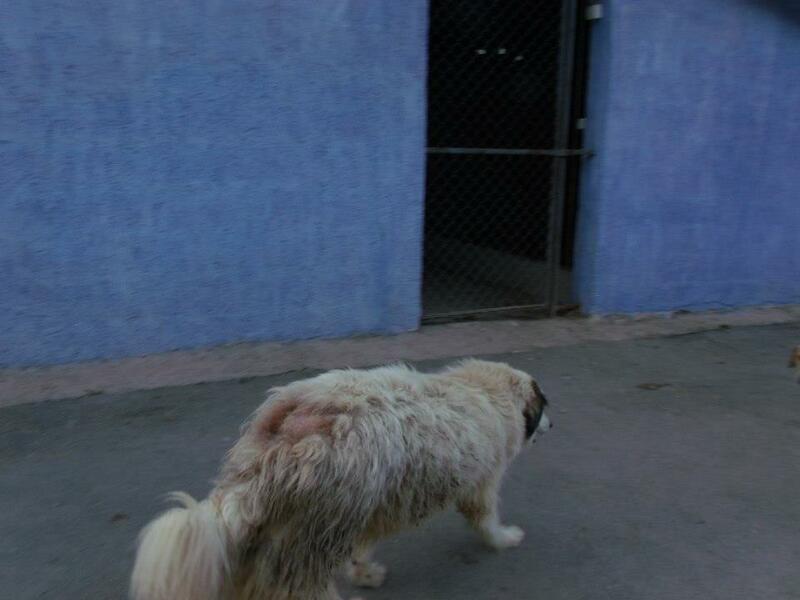 The locals claim that they are exposed to potential danger of dogs while the co-owners claim that dogs suffer because of the bad shelter management. 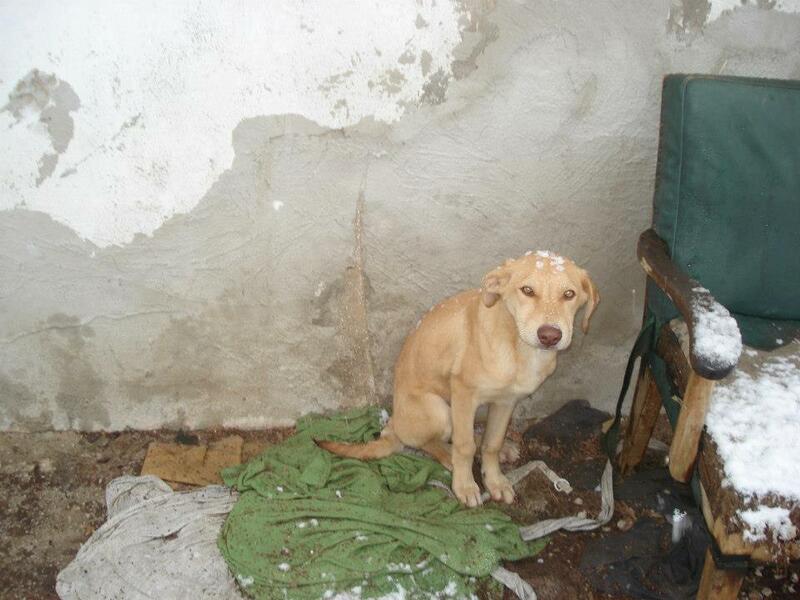 “The Situation in Praca shelter culminated four days ago when the shelter Director Amela Turalic wanted to spay a pregnant dog just two days before the dog gave birth, also only few days ago she allowed a three month old puppy to be neutered. 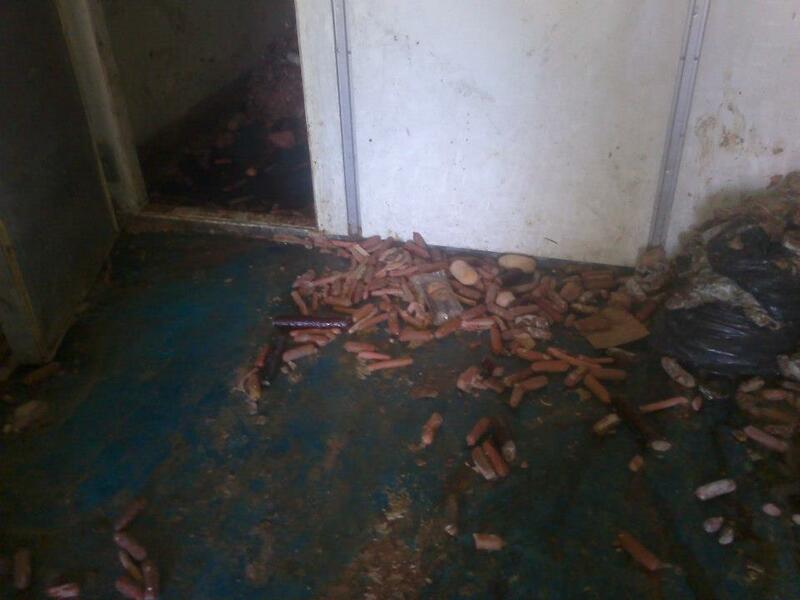 As per her order the dogs were fed rotten innards and baby cookies. Despite many conversations and warnings, Amela never stopped doing things she saw fit,” explained Mrs. Elmedina Devlic. During today’s visit to Praca shelter, we found cold storage room where slaughterhouse leftovers are kept as well as baby cookies. Mrs. Devlic claims this is the only food that dogs are fed. “Stench from the cold storage room can be smelt a mile away! 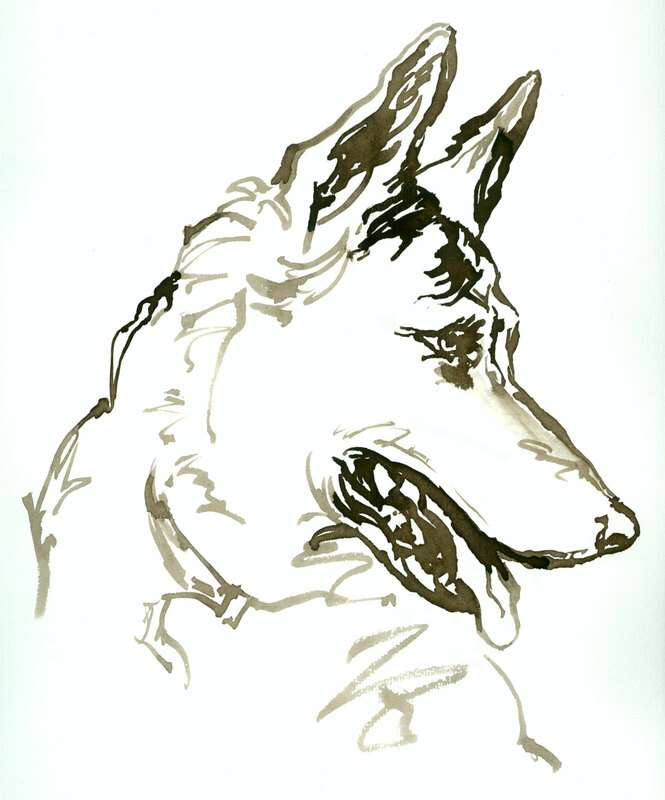 Turalic was obviously thinking that rotten meat and biscuits with chocolate are “the best” food for dogs. 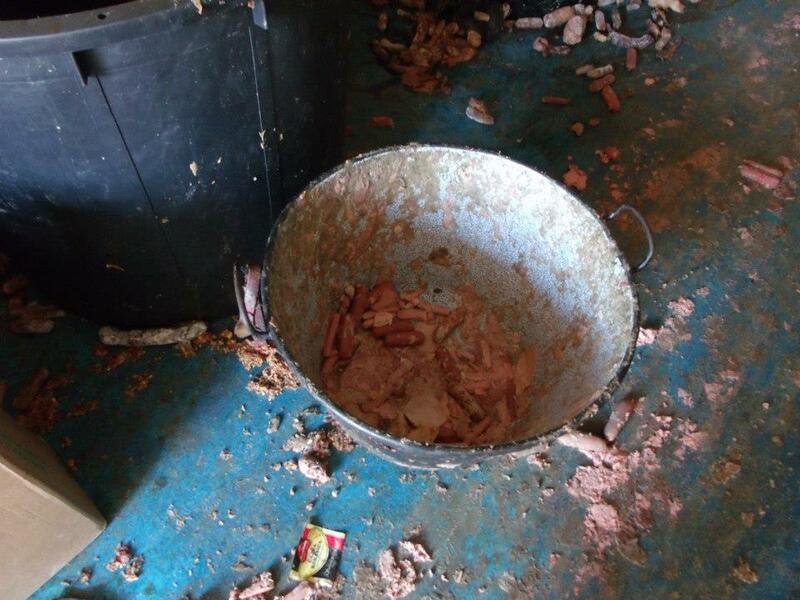 Praca workers have claimed for many months that dog food collected at charity events mysteriously vanishes from the shelter. Fortunately, dogs are not hungry because of the efforts of a few of us good people make. However, it does not mean that someone’s arbitrariness should not end,” explained Devlic. 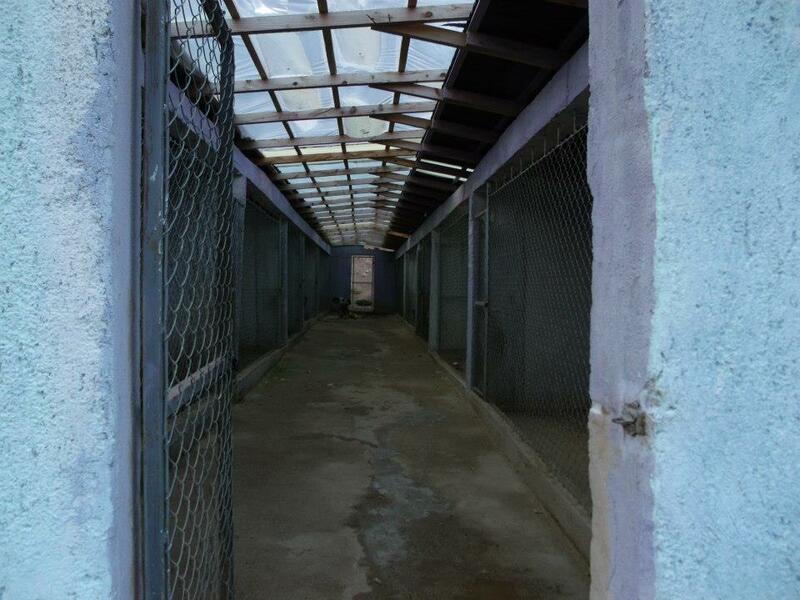 While approaching the shelter, it is evident that many dogs are outside of the shelter confines. 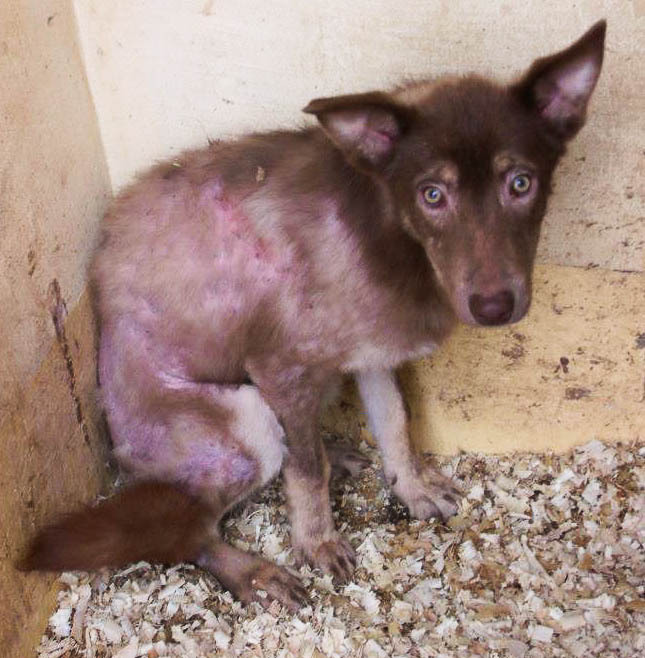 Locals, people who live in surrounding villages, complain that dogs are deliberately released from shelter. 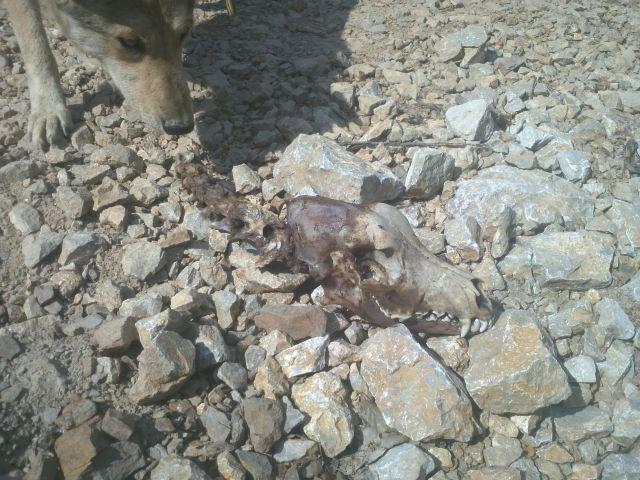 Such dogs scare children, slaughter sheep and then in the end are “dealt with” by hunters. A school van that provides transportation of children to school is located in front of the shelter. Parents are concerned about safety of their children. 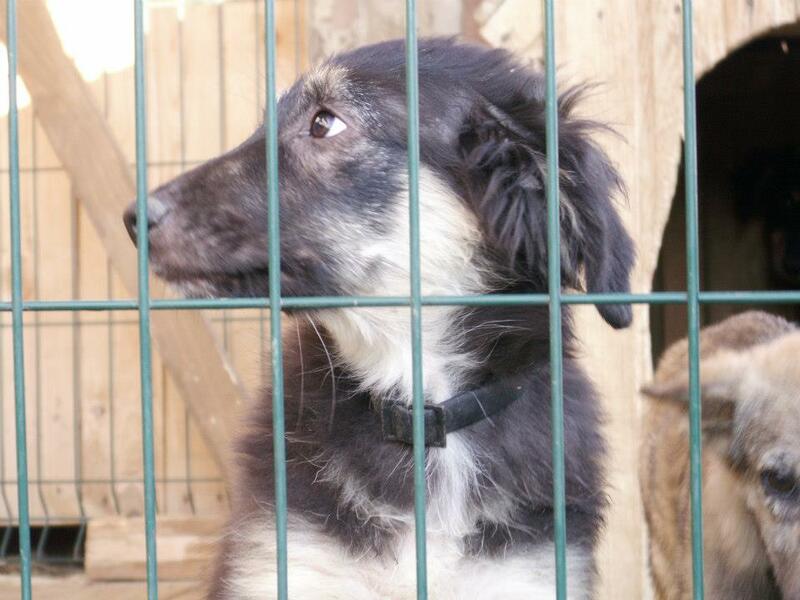 “It’s no secret that Amela and her Italian volunteer Mara, deliberately set dogs free from the shelter. Municipal authorities get on average five to six reports about it from concerned locals every day. Had she done her job responsibly, all this would have never happened! Nobody hates dogs here, but they should stay at the shelter and not in settlement! 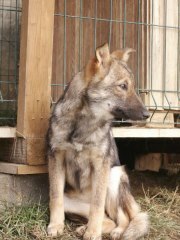 Murai Komerc was authorized to take care of the shelter and its employees until March 13, this year. The date has expired. Whatever will happen further, I stand firm that the former practice is obsolete,” Mrs. Devlic categorically claimed. 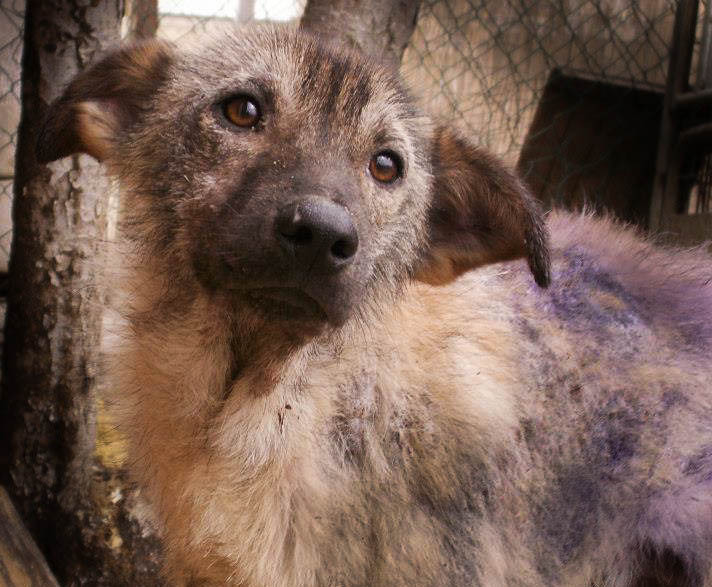 Municipal authorities are outraged by the presence of stray dogs that roam freely in the nearby countryside, it is a problem and authorities appeal for a solution. We tried to contact Amela Turalic but she did not answer our calls. 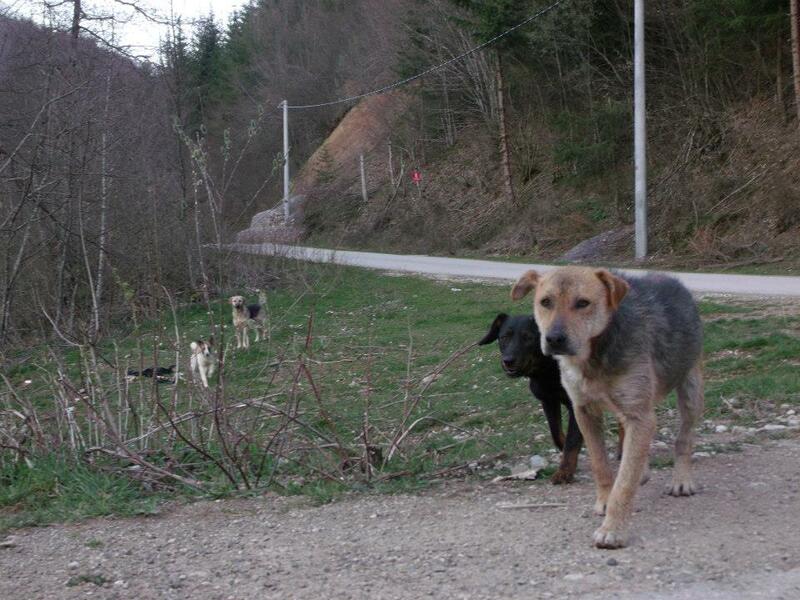 Horror Camps for Animals in Bosnia. 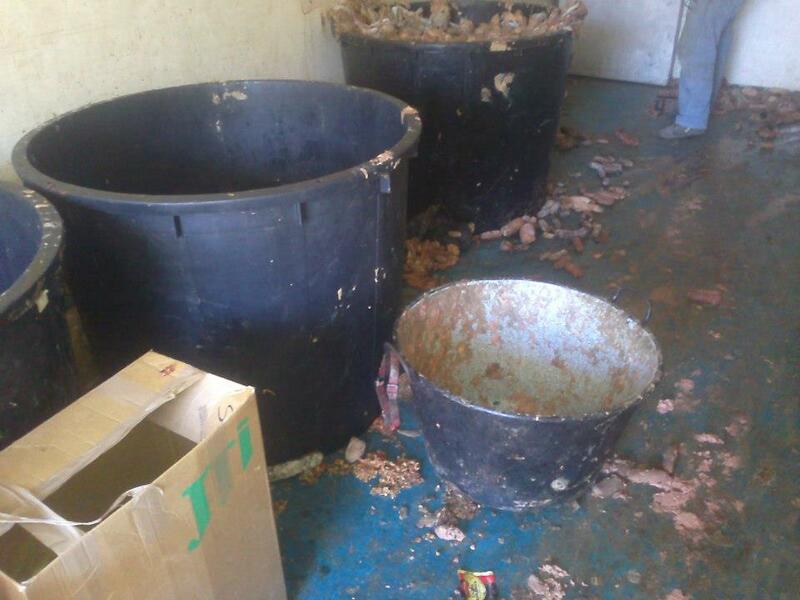 This shelter houses about 200 dogs, who live in appalling conditions due to lack of funding from the Municipality and Agricultural co-operative who started the shelter. Please read the above post for details of the conditions of the shelter. Essentially the workers in the shelter were given responsibility for the dogs on a minimal wage and without health insurance and so on, but no adequate fund to actually care for the dogs. The Director has changed the locks on the doors and has not given anyone any adequate reason why he has banned them from even visiting the dogs they have cared for for so long. 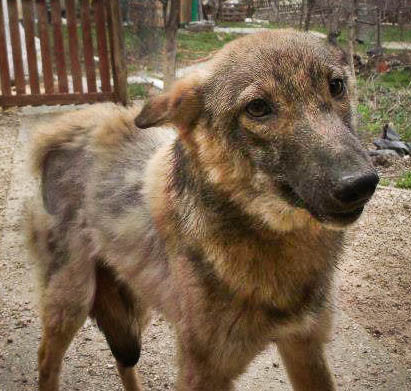 Our group, Animal Advocates for Bosnia (AWAB) has raised funds for food and spay-neuter programmes at Gladno Polje and I know from personal experience that Sanela and Adnan have only ever had the dogs’ well-being in mind. 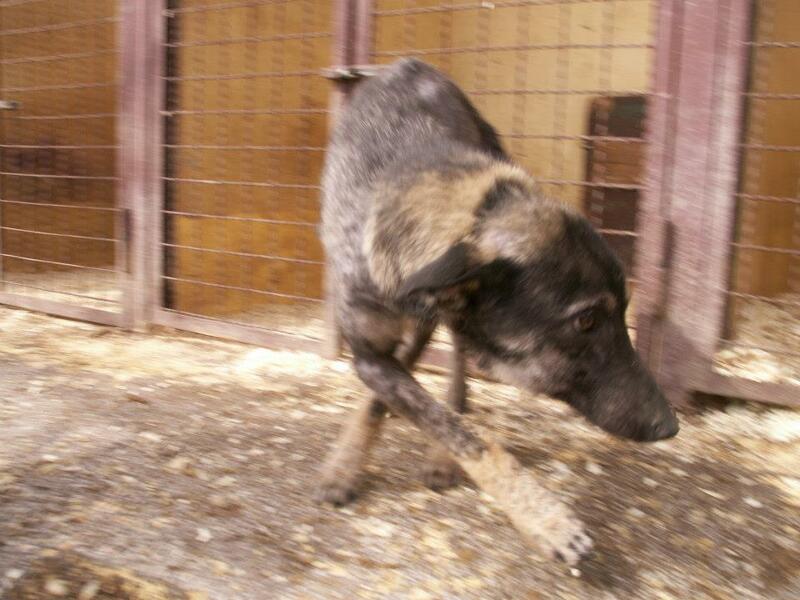 Sanela has worked tirelessly, putting her home-life, her health, at stake, to try to help the dogs at this shelter. “I didn’t want to start any arguments or wars. I’ve been always the one who wanted peace and contacted the other side to negotiate, to discuss in a civilised manner everything. When myself and the Director would meet, the story was always the same : he always gave the same promises which were never fulfilled. Note that our group, AWAB, raised funds for the spay-neuter of over a dozen dogs at Gladno Polje, in particular the 10+ dogs rescued from Hresa last year who were then placed at Gladno Polje. We have also raised considerable funds for food, and have photographs and receipts to prove that the money was used appropriately. 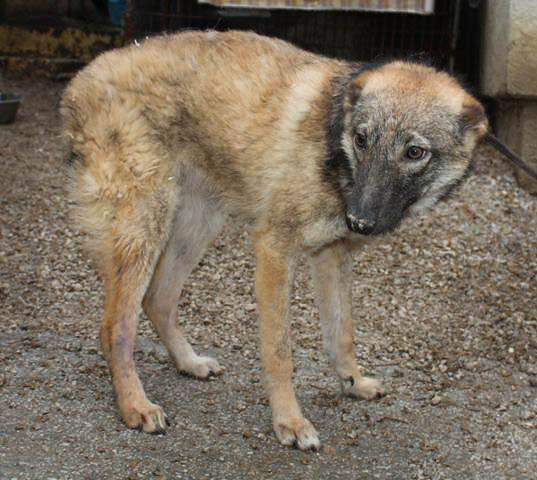 It’s important to note that, unlike workers at some other dog “shelters” in Bosnia, Sanela has always been quite clear about the terrible conditions for the dogs at Gladno Polje, and has published countless photographs on Facebook and appeals for donations. 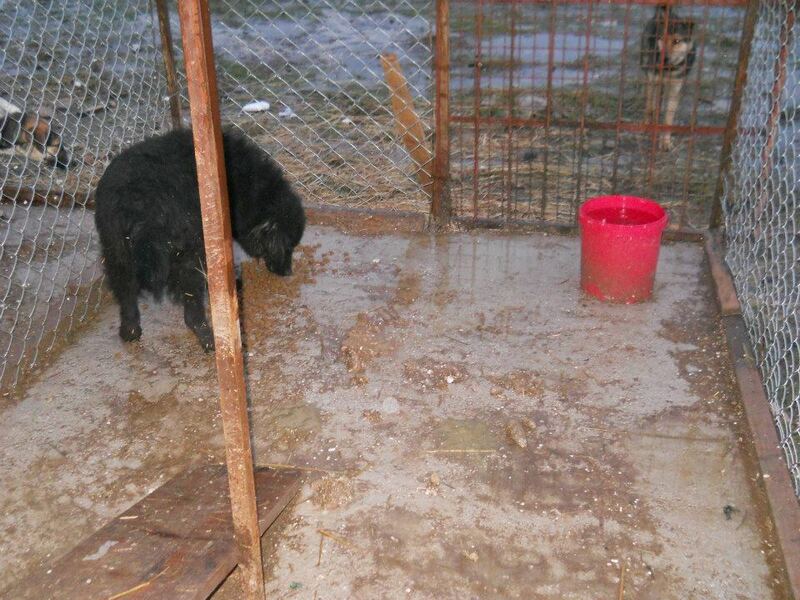 On April 7th, a group of volunteers visited the dogs at Gladno Polje. 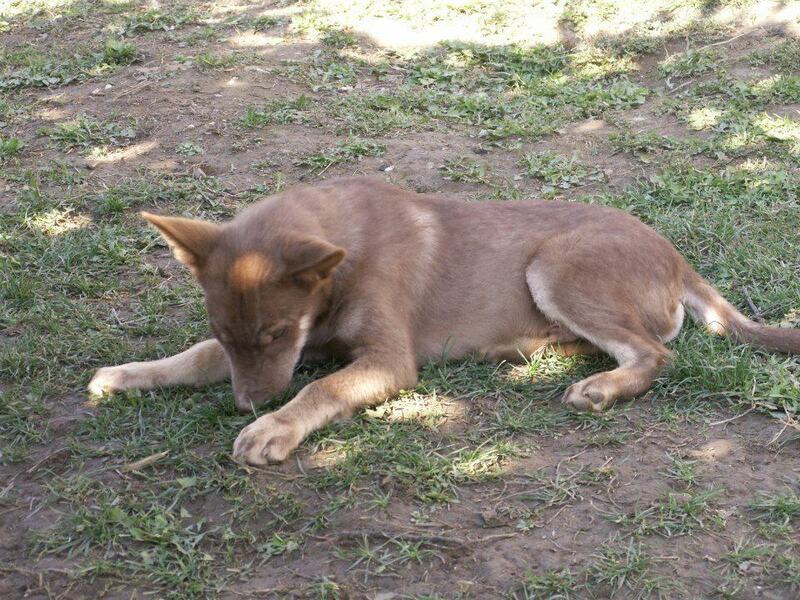 The purpose of the visit was to spend time with the dogs and to bring them food. After they were denied access to the shelter by an employee, volunteers explained that they were there during visitation hours, as the shelter sign clearly stated. 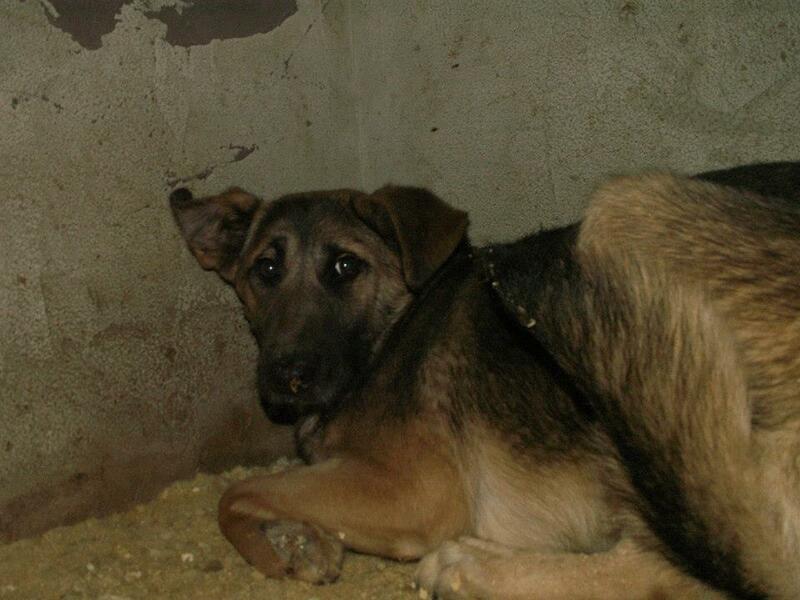 They received a very confusing answer by the same employee, who explained that they are currently not accepting any visitors, because Sanela and Adnan are banned from the shelter and that Sanela and Adnan, according to the employee, were thieves who collected food for the dogs and then stole or sold it. This information was given to the employees by the Director. Volunteers told the employee that they will contact the local media. 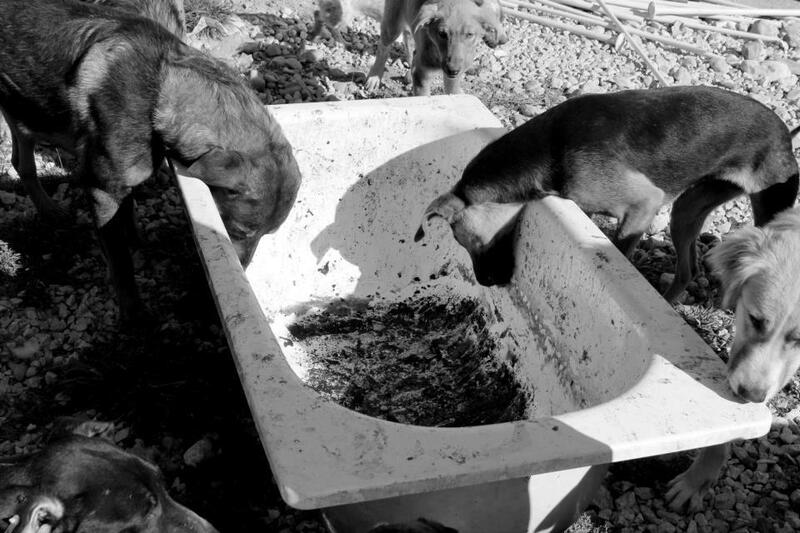 Entrance was immediately granted to see and feed the dogs, but the employees of the shelter oversaw the entire feeding process and claimed that the dogs were not hungry and that the volunteers were wasting food. The shelter employee then immediately proceeded to remove the shelter sign which showed the visitation hours of the shelter. 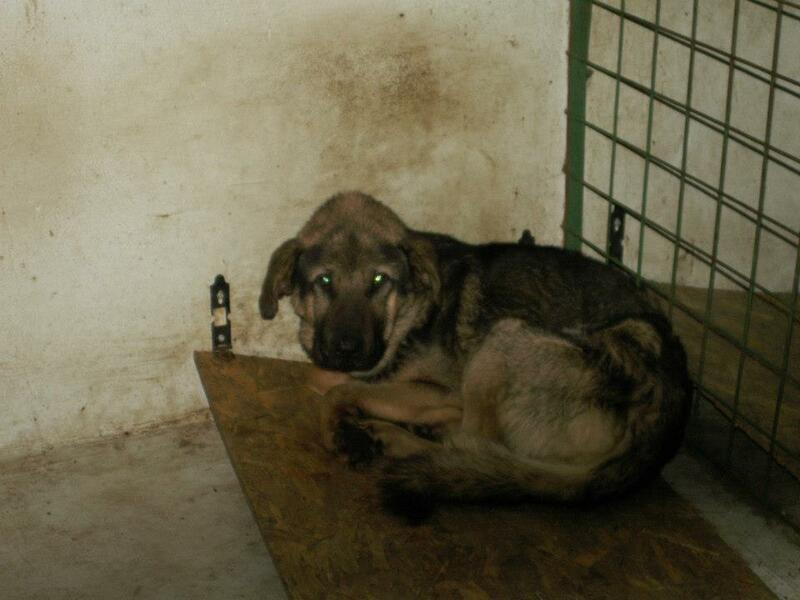 However, the Director of Gladno Polje pulled his Administration Assistant from his office and sent her to the shelter to take care of the hygiene and to oversee the entire process with the dogs. 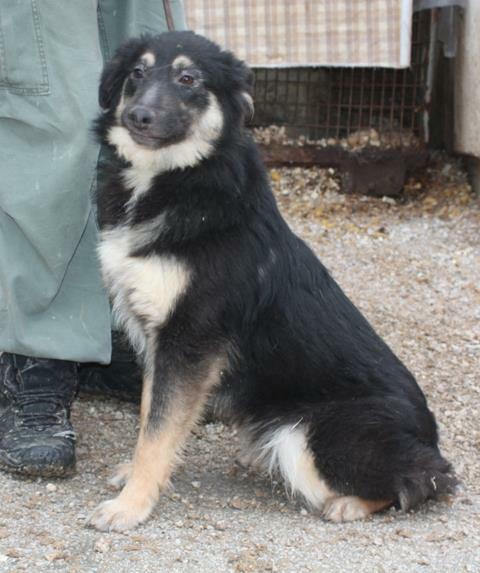 Dženita has now also been banned from the shelter. 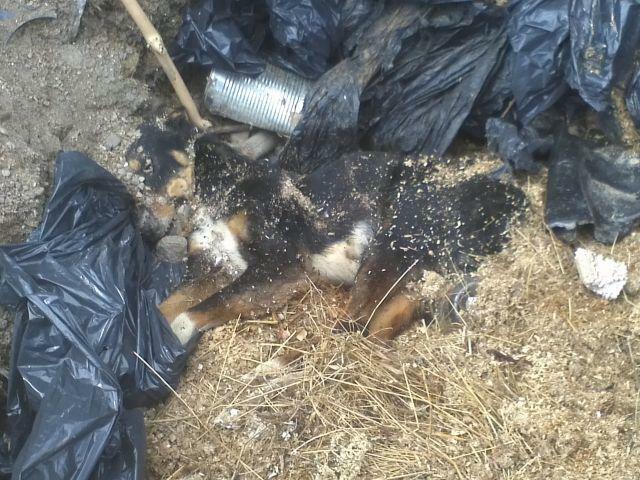 On April 8th, the cantonal veterinary inspector visited Gladno Polje and witnessed the terrible conditions for themselves. They returned two days later to find that the hygienic condition had improved. The kennels were cleaned up, the fence surrounding the shelter had been fixed so the dogs could not get out, and the dog kennels that were destroyed by the wind had been fixed. 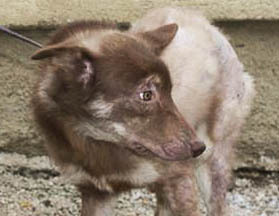 However, advocates have heard today (14 April) from Haris, a visitor to the shelter that conditions are still very bad. This situation at Gladno Polje is complex and confusing. So-called improved conditions – if there are any – are unlikely to remain. And certainly, the sacking of Sanela, Adnan and Dženita is entirely unjust and the well-being and livelihood of the dogs there remains in a very precarious balance – as always.